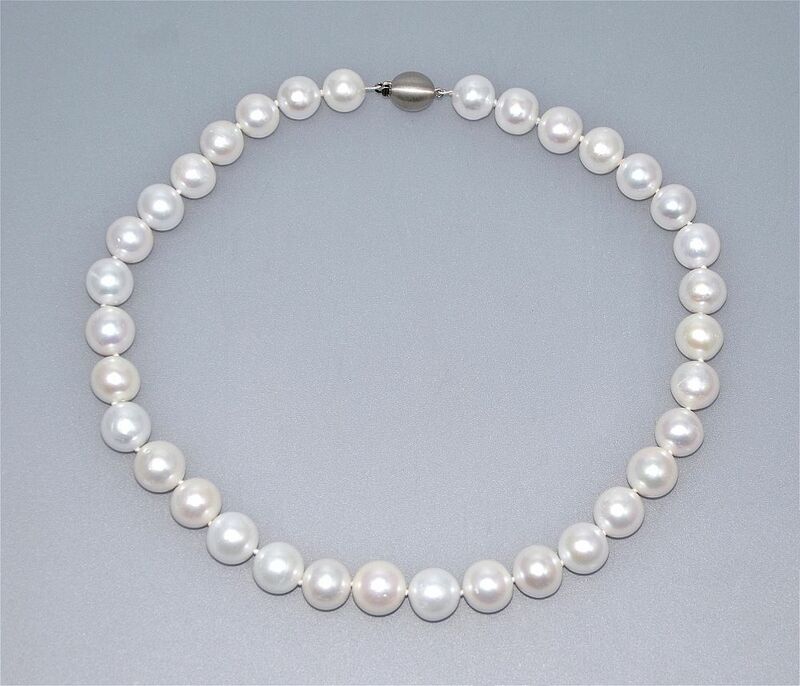 This string of 34 fine white round freshwater pearls are Chinese. The sting is knotted and has a brushed finish palladium torpedo clasp. Classic jewellery to wear with any outfit.